I am an arttherapist working with mandalas and MARI card test. I graduated in 2007 in Brno with my undergraduate degree and in 2012 in the postgraduate one. In spring 2008 I completed my four-year satitherapeutic training and in 2011 I finished a two-year artefiletics and art therapy course under the supervision of Marijanka Bažantová. Furthermore I have attended the ULURU personal development seminars, The journey of a woman, Family constellations, The journey of a shaman and other seminars focused on presentation and lecturing skills as well as professional rhetoric. Currently I am a member of an art therapy association and I am the executive manager of civic association Centrum Mandala o.s. I am a certified satitherapist and I work under the supervision of Igor Klečka. Next to individual and group counseling I practice group art therapy, using mandalas. Term is up to you 32€ Only for one! 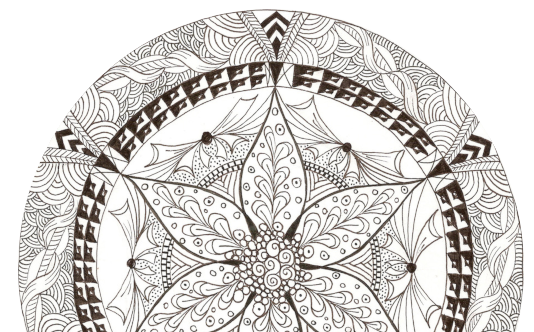 Come and create your own amazing mandala.